Today’s scientists find it tough to keep up with all of the latest journal articles, innovative methods, and interesting projects of colleagues in their fields. That’s understandable, because there are tens of thousands of journals, hundreds of conferences in major fields, dozens of emerging technologies, and huge geographic distances separating researchers who may share common interests. But science is increasingly a team sport—and it’s important to provide scientists with as many avenues as possible through which to interact, including commenting on each other’s work. To encourage such exchanges, NIH’s National Center for Biotechnology Information (NCBI) recently developed PubMed Commons, a resource that gives researchers the opportunity to engage in online discussions about scientific publications 24/7. Specifically, this service allows scientists with at least one publication to comment on any paper in PubMed—the world’s largest searchable database of biomedical literature, with more than 3 million full-text articles and 24 million citations. There are a lot of reasons to participate. Authors of biomedical research papers can update and receive feedback on their papers from fellow scientists around the globe. Comments can guide further research by identifying and sharing links to other relevant papers, linking to datasets, replication efforts, or blogs. Researchers can also link to articles in non-biomedical journals that might otherwise be overlooked. Since the service was launched a few months ago, 5,000 scientists (who have at least one publication in PubMed) have joined PubMed Commons—posting about 1,600 comments. The quality of these comments has been good, thanks in part to a member-based rating system that flags the comments found to be most useful. But numbers don’t tell the whole story—what are real-life researchers actually talking about on PubMed Commons? Here are just a few examples to give you an idea of the types of discussions that are taking place around this virtual water cooler. One researcher posted highlights from an online journal club discussion of a randomized controlled trial, and then added a link to a YouTube interview with the principal investigator of the study. Another posted a link to her freely accessible data sets. There also was an instance in which a scientist raised concerns about a cross-contaminated cell line that was used in a study and began a conversation with researchers about where to find lists of other problematic cell lines. 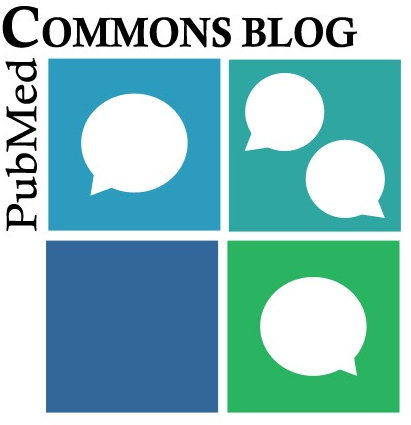 In short, PubMed Commons is a great tool to bring scientists together to share resources and knowledge, boost collaboration, and enhance our efforts to advance biomedical knowledge—with the ultimate goal of improving human health. So, I encourage every researcher with one or more articles in PubMed to take the time to join PubMed Commons (by following these instructions) and then become an active, thoughtful part of these important conversations. PubMed Commons has the potential to be tremendously useful and to transform suppressed frustration (that we sometimes see in anonymous reviews) into many fruitful discussions. Realizing this potential requires wide participation. There are many things that you should remember when you are writing a research paper. It is important that you submit a winning research paper, as this is basically the written representation of your understanding of the topic.